Q3: Do You Employ A Following Seat? Still with me? Fantastic. Third in the ’99 Questions’ series of blogs. Self-Assessment Question #3 : Do you employ a following seat? Do you move with the horse in walk or rely on the horse’s motion to move you? Do you allow with your hips in the trot? Do you do the circular backward hip rotation in canter? If not, you need to understand that a little help from you goes a long way to helping your horse forward. Is it me or is it my horse? Your seat must follow the horse’s motion in a rhythmical way in order to allow the horse to move forward. If you say ‘go’ with your leg aids but your seat does not immediately follow the forward swing of the horse’s hips as he picks up a hind foot, you WILL restrict forward motion – guaranteed! Perhaps you bounce a little in the saddle; pump backwards and forwards with the upper body; head bobbing maybe or even chicken wing elbows. If there is tension in the pelvic region it has to come out somewhere! These are common symptoms of tense hips that are not correctly following the horse’s motion. You may also be cheating by collapsing at the belly button to absorb the motion. 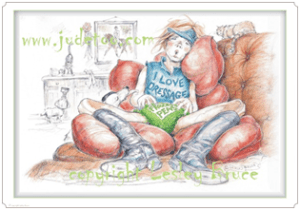 By working on ‘thinking’ tall and elegant and transferring the rocking and motion that is coming out elsewhere to the pelvic region you can begin to understand that the pelvis is the literal centre of everything dressage. The goal is to follow the horse’s motion by opening and closing the hips while maintaining a steady, relaxed upper body. 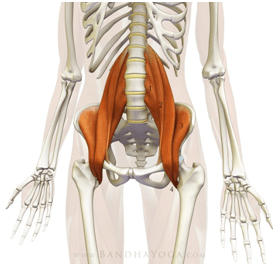 There are two very useful blog posts about The Psoas Muscle to help you release any tension you may find in your hips. Q8 - Are You Bouncing In The Saddle? Q9 - Are You Pumping With Your Upper Body? Q2 – Are You In Balance?